On the track or on the street, it’s hard to beat the responsive nature of the stock sequential turbo system. The compromise with the stock turbos is ultimately air flow. We have been able to develop impressive performance with a properly tuned, twin turbo RX7. We’ve even seen 11 second times at the track. As many are aware, Mazda continued producing the RX-7 and developing the platform until 2002. One of the best updates was the power change for the 1999-2002 models. The key to this power change was the improvements to the turbochargers. The compressors received special abradable housings to improve impeller blade clearances, turbine housings are “roomier” and connections were improved for better reliability. The sum total of all these changes were a faster responding turbo, better efficiency and higher boost capability. In other words, more power! For many years, only a select few could find these turbos. The cars were produced in such limited numbers, the turbos seemed more rare than finding a unicorn...until now. 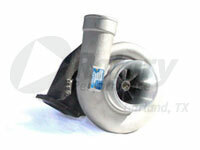 We have been stocking these turbos and have made them available at a reasonable price. These turbos are brand new. There are no used or rebuilt parts whatsoever. Also included are two new actuators for the wastegate and pre-control. Can be used in either the preferred sequential setup or in a racing non-sequential configuration. These turbos will bolt directly to any 1993-1995 exhaust manifold and any quality downpipe. We’ve seen close to 400HP at the wheels, but see 330 - 360 frequently. Whether you’re replacing your turbos due to old age or feel the “need for speed”, there is no better value than the Mazda sequential twins. The SP version of the Efini twin turbo set is similar to the original except for the upgraded compressor side of the turbos. The compressor wheel inlet diameter of the SP version is 43.2mm as compared with the original Efini turbo which is 41.5mm. The upgraded compressors allow the SP turbos to deliver around 12% more air volume for an increase in maximum power output while maintaining excellent sequential response. the SP twin turbo is a great way to maintain the sequential turbo experience with a little more top end "kick". Just like the original Efini turbo set, this turbo package is 100% brand new. And just like the original Efini turbo set, these turbos will bolt directly to any 1993-1995 exhaust manifold and any quality downpipe. Whether you’re replacing your turbos due to old age or feel the “need for speed”, there is no better value than the Efini twins. The GReddy T78 kit is the same high HP turbo which we’ve used extensively at our shop and our own race car. This setup produces an easy 400+ RWHP at 15psi on race gas and with proper tuning and more boost, is capable of propelling your RX-7 into the 10’s. We’ve produced over 500 RWHP using this exact turbo setup out of the box. We’ve found this turbo spools better than the equivalent sized Garrett units. The turbo unit is a Mitsubishi that propelled our RX7.com drag car to two world championships. This can be attributed to its highly efficent aerodynamics and also it’s unbelievable durability: we have never experienced a turbo failure running these Mitsubishi turbos. The kit comes complete with top quality parts, stainless manifold, wastegate, air filter, it also includes all necessary hardware and instructions. Turbo only shown. Click the image to the right to start a slide show depicting the whole kit. The GReddy T88 kit is the same high HP turbo which we’re currently using on our own race car. 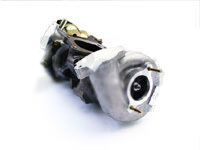 The turbocharger unit is a Mitsubishi turbo that we have used previously with tremendous success. 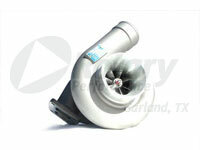 We’ve produced over 640 RWHP using this exact turbo setup out of the box. We’ve found this turbo spools better than the equivalent sized Garrett units. The kit comes complete with top quality parts, stainless manifold, wastegate, air filter, it also includes all necessary hardware and instructions. Turbo only shown. Click the image to the right to start a slide show depicting the whole kit. © 2017 RX7.COM. All Rights Reserved. Please direct comments or concerns here.